Located on the southeastern coast of India, Andhra Pradesh is the eighth largest state in the country in terms of geographical expanse, and tenth largest in terms of population. 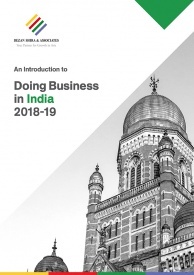 In 2018, the state topped the ‘ease of doing business’ ranking among states prepared by the World Bank and the Department of Industrial Policy and Promotion (DIPP). It also ranked among top ten investment destinations in the National Council for Applied and Economic Research (NCAER)’s 2018 State Investment Potential Index (N-SIPI). Below, we look at the state economy, investment opportunities, and government incentives available for businesses in Andhra Pradesh. There is a strong economic momentum within Andhra Pradesh driven by a focus on the ease of doing business, infrastructure development, and abundant natural resources. In the fiscal year 2017-18, the state registered a gross state domestic productivity (GSDP) of US$123 billion with an 11.22 percent growth rate, which is higher than the overall national average. Sector-wise, services accounted for the highest share in the state GSDP with a total of Rs1305.87 billion (US$17.7 billion), followed by industries with a total contribution of Rs507.45 billion (US$6.9 billion) and agriculture with Rs545.99 billion (US$7.4 billion). Andhra Pradesh is a traditional exporter of spices, processed seafood, garments, artificial jewelry, and leather goods. The state is also one of the top exporters of software, and tobacco products. Andhra Pradesh has the second largest power generating utility in the country with an installed capacity of around 23,000 MW. The two cheapest sources of thermal power generation – coal and natural gas – are found in abundance. They are several large power plants established in the state. The major ones are located at Visakhapatnam, Vijayawada, Kakinada, Krishnapatnam, and Cuddapah. The city has several private and public-sector establishments producing large-scale industrial goods such as steel, metals, petroleum, polymers, fertilizers, and heavy engineering equipment. The presence of public sector enterprises such as Vizag Steel (RINL), BHPV, Vizag Shipyard, and HPCL have made the city predominantly an industrial one. 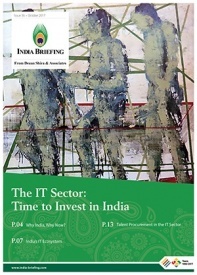 Over the years, the information technology (IT) sector has also gained prominence in the city. Andhra Pradesh is one of the nerve centers for manufacturing, IT, as well as tourism and services. Vishakhapatnam is also home to several institutes of excellence in research and development, education, hospitality, and governance. Kakinada is known for its anchorage port and a deep-water port. The city has a 10,000-acre multi-product SEZ and the Petroleum, Chemicals and Petrochemicals Investment Region (PCPIR). It also has multiple fertilizer refineries and produces a large scale of natural gas. As a result, a number of gas-based thermal power projects have come up near Kakinada in recent times. The city’s chief exports include seafood and related products. It also produces agricultural products like rice and corn, edible oils, processed food products, chemicals, and biofuel. Vijayawada is famous for processing of agricultural products, automobile body building, hardware, textile, consumer goods, and small-scale industries. Known as ‘Gateway to the East’, Andhra Pradesh has established itself as one of the major connection points with important world markets in Asia such as Hong Kong, Singapore, Japan, and China. Currently, Andhra Pradesh has 14 notified ports out of which six are operative. Visakhapatnam port is among the country’s most premier ports in terms of total cargo traffic handled, with a total capacity of over 65 million tons (mt) per annum. Gangavaram port, on the other hand, has a deep draft capable of handling the largest of vessels. In addition to these, there two operational non-major ports — Kakinada, with a capacity of 10 mt and Krishnapatnam with 15 mt. Besides, AP has five operational airports – Visakhapatnam, Rajahmundry, Vijayawada, Tirupati, Kadapa, and Puttaparthi; new greenfield international airport at Bhogapuram (Visakhapatnam district), Dagadarthi (Nellore district); and domestic airport at Orvakal (Kurnool district). It also has a 120,000 km of road network, 7,118 km of national highways running through the length and breadth of the state, 7,040 track km of rail network, and about 888 km of the national waterway. Andhra Pradesh is among the top ten most preferred destinations for investment in India. 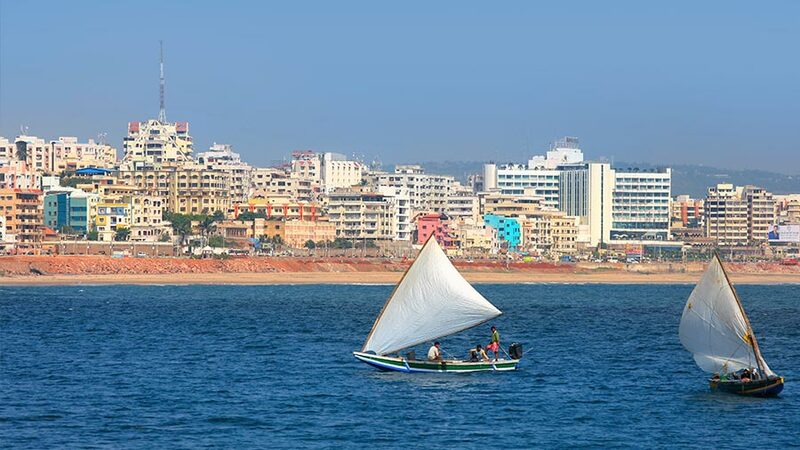 The state is known for its business-friendly policies and simplified administrative procedures. It has several special economic zones (SEZs), and industrial corridors offering world-class infrastructure to manufacturing and service industries. There are 114 approved SEZs in the state – of these 75 are notified, and 27 have become operational. The SEZs are present across diversified sectors including textiles and apparel, food processing, footwear and leather products, multi-product, pharmaceutical, and information technology, among others. Much of the investment in Andhra Pradesh goes into Sri City and Anantapur district. Sri City, located just 65 km north of Chennai, is a 7,000-acre private industrial park. The park is home to over 80 global companies with a cumulative investment of Rs 25,000 crore (Rs 250 billion). Kurnool Bengaluru Industrial Corridor, with the industrial node at Orvakal in Kurnool district. These corridors offer a massive opportunity for the establishment of manufacturing units across the following industrial sectors: pharmaceuticals, electronics, machinery, hi-tech engineering, electronics, automobile, food processing, textiles, building materials, and machinery parts. 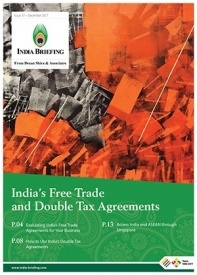 Andhra Pradesh also offers procedural ease for facilitating foreign direct investments (FDIs). Over the years, the state has recorded a healthy FDI inflow, thanks to Fortune 500 companies, which have set up operations in the state. According to data released by the DIPP, the state attracted FDI equity inflows worth US$ 16.487 billion during the period April 2000 to June 2018. Enactment of the industrial single window clearance policy – the single window system, mainstay of the reforms, is an online platform available 24×7 for obtaining necessary regulatory clearances. Thorough the e-platform, companies can get all necessary clearances to establish and operate an industry within 21 working days. Self-certification based approvals – the state government grants as many as 15 approvals on the spot based on self-certification by the investor. 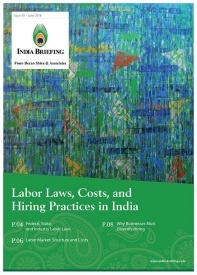 Sector-specific policies – the state government along with the federal government offers industry-specific incentives under various schemes to sectors such as automobiles and auto components, petroleum, chemicals, (including fertilizers) and petrochemicals, energy, leather, agro and food processing, textile and apparel, electronics and IT, and mineral based industry. The incentives range from capital and interest subsidy, power, stamp duty, and tax reimbursements, to financial assistance for patent registration. International desks – the government has set up international desks to facilitate assistance to foreign investors. Joint inspections – to ensure investor convenience, inspections of several departments such as labor and factories are combined into one inspection.